1. In a bowl, mix cornstarch, rice flour and coconut meal. Add sugar and a pinch of salt. Dig a well and set aside. 2. Bring water to a boil. Pour hot water over the flour and mix with a wooden spoon. You should obtain a soft ball of dough. 3. Allow to dough to cool. Meanwhile, heat frying oil to 360°F (180°C) in a deep-fryer or a deep skillet. 4. 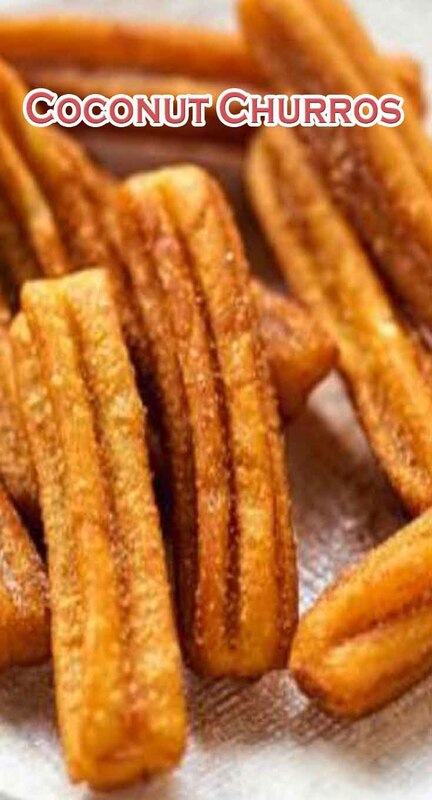 Transfer the dough into a churros maker or pastry bag fitted with a fairly wide star tip. 5. Pipe strips of dough into hot oil using the pastry bag. Fry until golden; drain on paper towels. 6. Sprinkle with powdered sugar and enjoy with chocolate sauce, hot chocolate or Nutella and crushed hazelnuts.